Los Angeles, CA – Rapid advancement in the application of Artificial Intelligence has world leaders contemplating the role of human labor as automation shapes the future of work and impacts global trade and business. 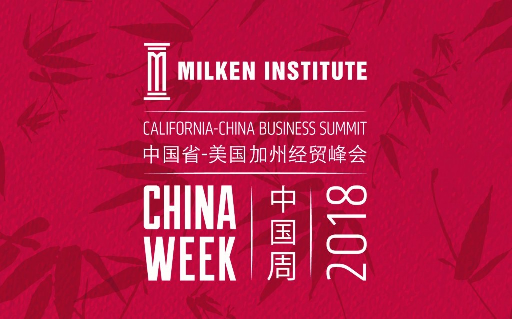 Chinese and California researchers have provided significant collaborations in this field, in part addressing a number of key questions and challenges: Where is the role for human capital in this evolving landscape? How can organizations and global partners collaborate to support a new educational pipeline that cultivates human oriented skills and growth? How can the United States and China meaningfully partner in this new area for mutual gain while mitigating some of its inevitable externalities? On Thursday, May 3rd, California Center’s Senior Vice President, Gordon Hinkle will join with an expert panel of speakers from: Intel Corporation; University of California, Irvine; Oppticity; and the California Governor’s Office of Business and Economic Development for this special discussion at the Beverly Hilton Hotel, in Beverly Hills, CA (2:20pm-3:20pm session). The panel will be moderated by Ralph Simon, Founder & Chief Executive, Mobilium Global Limited.